Today, to the contact person data includes not only the home address, phone number, but their email address (email). It is also necessary to specify, registering on the various Internet resources. therefore, almost every email address (and not one). Accordingly, any one should understand, What is e-mail, and how to create it. E-mail is quite practical invention. Letters between addressees are sent in seconds, thus it is possible to send not only text data, but also files in various formats (a photo, music, video, tables, etc.). 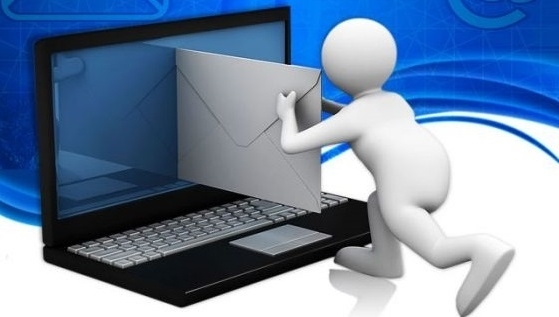 E-mail is created by the owner to specialized resources, providing similar services. for example, on: yahoo.com, mail.ru, rambler.ru, yandex.ru, hotmail.com and other. E-mail address has a standard form and must contain the symbol "@" ("Dog" or "dog"). The text before the "@" comes up with the owner of the address, eg, you can select the mailbox name asdf. This unique username must contain letters, figures, score, dash, hyphens. The address for the "dog" is mandatory should be the server name (domain name), which wound up mail. Vending free email service chooses the future owner of the address. If the e-mail address set up on the server yandex.ru, it turns out the address asdf@yandex.ru. in conclusion, it is necessary to enter the "captcha", Reaffirming, that registered a real person. it became clear, What is e-mail, Further possible on site, where the registered e-mail, fill in the form (login and password), and open all correspondence.